Quality fresh herbs and spices are a must! This is true in all cooking, but it is especially true in competition. As a competitive BBQ cook, I have one or maybe two bites to get the attention of the judges. Since barbecue is essentially meat, spice, smoke and sauce, you simply can't afford to skimp on spices. 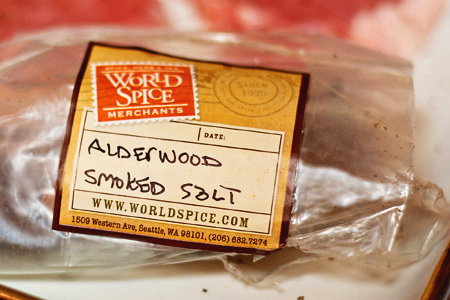 I make my own brines, rubs, and sauces for competition and my go-to company for outstanding herbs and spices is World Spice Merchants in Seattle. I have been using their products for years, and I have always been more than completely satisfied. What makes World Spice Merchants so good? Their products are always incredibly fresh, and the quality is unmatched in my experience. Additionally, their prices are very reasonable and their shipping is quick. Oh, and get this, they still trust their customers enough to ship your order and bill you. In fact, for the first two years that I ordered from them you literally could not pay for your order online. How cool is that?! If you want to give your cooking the utmost in flavor, hit up the folks at World Spice Merchants. I promise that you will be more than happy.